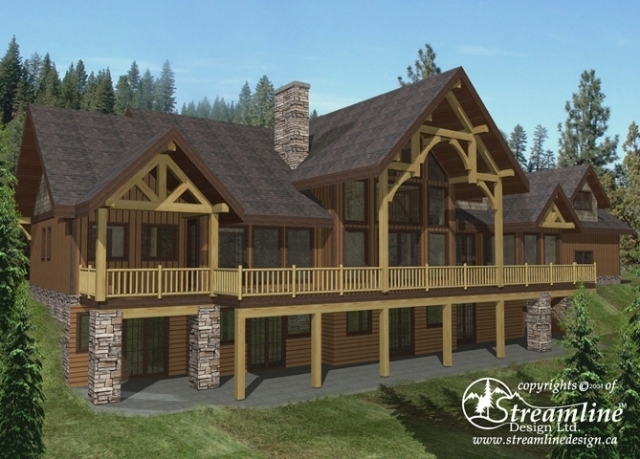 This sprawling timber frame log home is great for a large family with seven bedrooms, six bathrooms, a three car garage and lots of space. 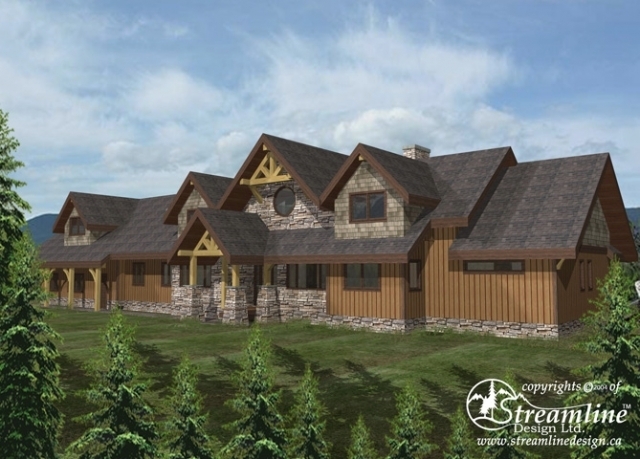 An open concept plan on the main floor features a huge kitchen and great room, formal dining room and a full height, two sided fireplace. 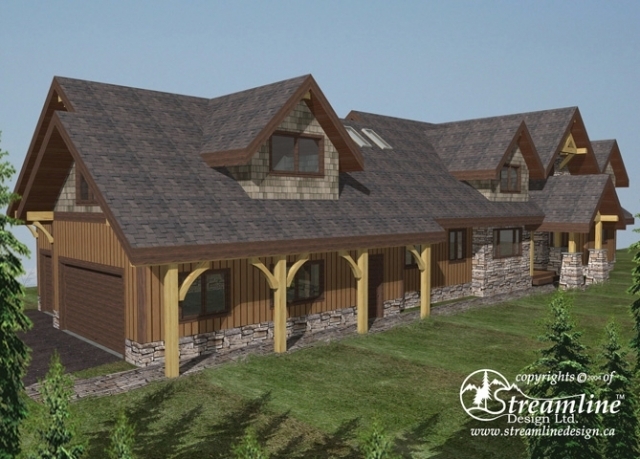 An office, mud room, bedroom and master suite with vaulted ceiling ensuite and his and hers walk-in closets are also on the main floor. Sitting loft, three bedrooms, study and bonus room upstairs, rec room, bar and two more bedrooms downstairs. 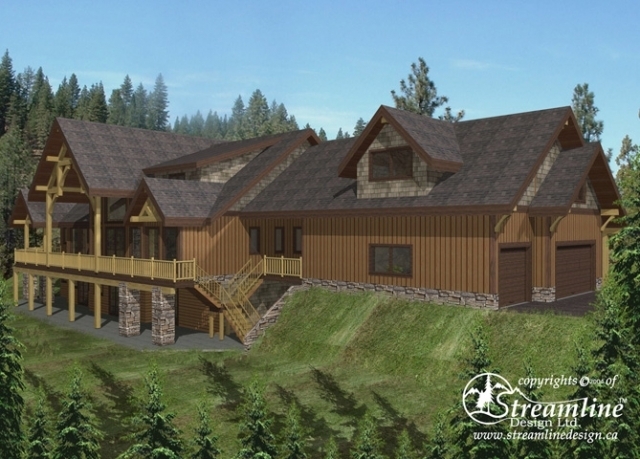 Enjoy extras like a wine cellar, home gym, sauna and theatre.